A 50% deposit is required to book the trip. This deposit is refundable if trip is cancelled more than 48 hours before the trip. Remaining balance is due on day of the trip. Your group will have your own guide and will be tailored to your group’s individual preferences. There are no age limitations and no required level of expertise. Anyone is welcome! 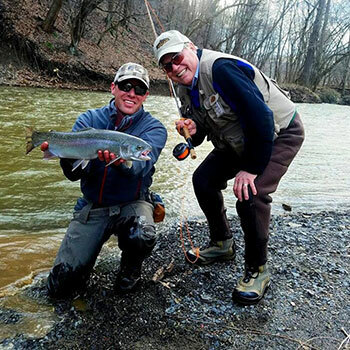 Ohio fishing license is required on all trips for anglers 16 and up. 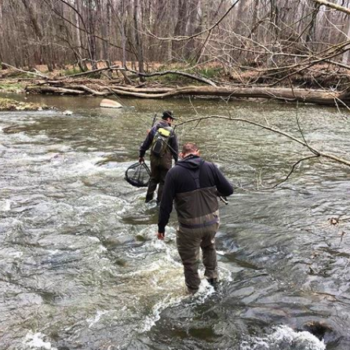 Fishing licenses can be purchased online at https://www.oh.wildlifelicense.com/index_hf.php or at local sporting goods retailers. Advanced reservations for guided trips are recommended, however we will attempt to accommodate last minute requests. (4 Hours launch to launch) $249 $299 All required gear (rod, reel, waders, up to 12 flies, life jacket), boat, and snacks. Fishing License + Guide Gratuity. (8 Hours launch to launch) $349 $399 All required gear (rod, reel, waders, up to 12 flies, life jacket), boat, lunch, and snacks. Fishing License + Guide Gratuity. Vermillion, Rocky, Chargin, and Grand Rivers $399 $449 All required gear (rod, reel, waders, up to 12 flies, life jacket), boat, lunch, and snacks. Fishing License + Guide Gratuity. 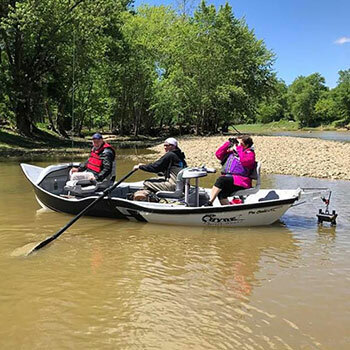 A 50% deposit is required when you book a float fishing trip. Balance is due on day of the trip. Rod, Reels, Waders and Flies included on all trips! We can accommodate groups of 2 per drift boat. Your trip will not be combined with another group. Your trip will have your own guide and will be tailored to your group’s individual preferences. There are no age limitations and no required level of expertise. Any one is welcome! Copyright © 2018 Wildwood Anglers, LLC. All Rights Reserved.